The Pike Township Board of Supervisors will hold a Public Hearing on a proposed amendment to the joint Boyertown Borough and Colebrookdale and Pike Townships Zoning Ordinance. The hearing will be held on Tuesday, May 7, 2019 beginning at 7:30 p.m. at the Pike Township Building, located at 810 Hill Church Road, Boyertown, PA 19512. Members of the public are invited to attend the hearing and to offer comment regarding the proposed Ordinance. The proposed Ordinance would regulate off-street parking and loading, off-street parking spaces, and provide for a parking requirement reduction in the TC District within the Borough of Boyertown. The Ordinance also would authorize and regulate winery and brewery uses as a use accessory to agriculture in the RA, MDR, and LDR Zoning Districts and would regulate the height of lights and spillover of illumination in Colebrookdale Township and the Borough of Boyertown. A copy of the full text of the proposed Ordinance is available for review and copying at each Municipal Office during its regular business hours. The Colebrookdale Office is at 765 W. Philadelphia Ave., Boyertown; the Boyertown Office is at 100 S. Washington St., Boyertown, PA 19512; and the Pike Office is at 810 Hill Church Rd, Boyertown, PA 19512. Copies of the Ordinance are also available for review at the office of The Reading Eagle, 345 Penn Street, Reading, Pennsylvania, and the Berks County Law Library in the Berks County Court House, Sixth and Court Streets, Reading, Pennsylvania. If you require special accommodations, please contact Cynthia Lastauckas, Township Secretary/Treasurer, at 610-987-6023. I am pleased to welcome you to the Pike Township website. Our website provides a central location to obtain draft agendas for regular meetings, copies of ordinances, lists of members of the various committees, contact information, Township background and history, and information on “happenings” in Pike Township. I encourage residents to visit the site frequently and to get involved in their areas of interest. of Pike Township, Berks County, Pennsylvania. 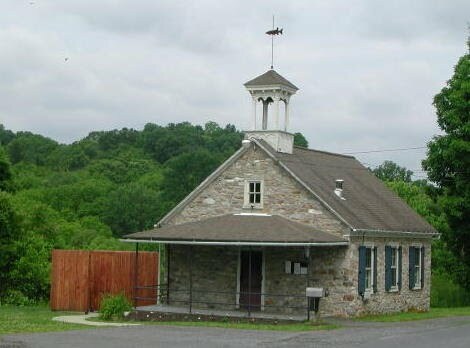 All meetings are held in the Pike Township Municipal Building, 810 Hill Church Road, Boyertown, PA 19512. The Building is accessible to persons with disabilities. Anyone requiring special accommodations should contact the Township Office at 610-987-6023. Consumers want and need to know not only where to take their televisions and old computer monitors, but why is it worth taking those extra steps? We need to make it easy to obtain this information, eWastePA.org does exactly that! The site not only explains why and how to recycle electronics, it links consumers to recycling programs in their community. The East Central PA Counter Terrorism Task Force (ECPCTTF) is a cooperative effort of Berks, Columbia, Luzerne, Montour, Northumberland, Schuylkill, and Wyoming counties. The task force is organized to assist member agencies with tools, strategies and guidance in their efforts toward an all hazards approach to emergency preparedness. This project, the ECPCTTF Special Needs Survey, is an example of these efforts. For the purpose of this project, a special needs individual is someone who is likely to require assistance in excess of that provided to the general public in a time of disaster, particularly in the event that large scale evacuation is necessary. These special needs could include, but are not limited to, requiring specialized medical equipment, difficulty walking, blindness, deafness, or being bedridden. They could also include having limited access to transportation, not understanding directions public safety officials will provide due to language barriers, and not being able to receive those directions due to not having access to television, internet or radio. The spotted lanternfly, Lycorma delicatula, is an invasive insect that was first discovered in Berks County in September 2014. The insect has the potential to destroy high-value crops, including grapes, tree fruits and hardwood lumber. Representatives from Penn State Extension, the Pennsylvania Department of Agriculture, the United States Department of Agriculture and Kutztown University will provide information regarding the eradication efforts to date and will answer questions regarding the related quarantine order. Spotted lanternflies have been found in wooded areas and residential landscapes, especially where there are tree-of heaven (Ailanthus altissima) trees. Intentional movement of any of the life stages of the spotted lanternfly is prohibited. The quarantine order, which has been supported by the affected communities, means that any item that could hold any life stage of this insect may not be moved outside the quarantined area without inspection and compliance. This includes firewood, vehicles, outdoor household items and any items stored outside during the fall, as well as building materials and plants or plant parts. Volunteers Needed: Residents of municipalities included in the quarantine are encouraged to sign up as volunteers to band trees to trap and destroy this insect on their property. Call the Penn State Extension office in Lehigh County at 610-391-9840 or email LehighExt@psu.edu for more information. The Department of Environmental Protection (DEP) today urged all Pennsylvanians to test their homes for radon, a deadly radioactive gas thats the leading cause of lung cancer in non-smokers in the United States. DEP also urged residents to take action to reduce radon levels in their homes if they are high. Due to our geology, radon is found everywhere in Pennsylvania. For that reason, we urge residents to test their homes to protect themselves and their family's health, said DEP Secretary John Quigley. Winter is the best time to test your home for radon because doors and windows are typically closed and tightly sealed, producing the most accurate results. January is Radon Action Month, and a great time to test. The U.S. Environmental Protection Agency sets the action level for radon at 4 picocuries per liter (pCi/L) of air. Residents with levels at or above that figure should take steps to lower them. Pennsylvania law requires all radon service providers, such as radon testers, radon mitigators and radon laboratories to be certified by DEP. The list of Pennsylvania-certified radon service providers is updated monthly and available on DEP's website. You can also obtain a hard copy of the directory or verify a company's certification by calling 800-23RADON. In 2014, the highest radon level ever recorded in the U.S. was found in a home in Lehigh County.The concentration measured was 3,715 pCi/L, more than 900 times EPA's action level of 4 pCi/L. DEP recommended the owners vacate their home until it could be remediated to safe levels. Approximately 20,000 lung cancer deaths per year are attributable to radon exposure so the threat is very real,â€ said Secretary of Health Dr. Karen Murphy. Radon exposure combined with smoking is a particularly lethal combination so we encourage everyone to take steps to reduce their risk. DEP, in cooperation with Commonwealth Media Services, has produced a public service announcement about the importance of radon testing. The PSA is currently airing on Pennsylvania, television and radio stations during January. The PSA is available on DEP's YouTube Channel. For more information about radon testing and radon resistant construction, visit DEP's website at www.dep.pa.gov/radon. In November 2011, Pike Township purchased the Lobachsville Church Picnic Grove, an 8.5 acre parcel with two pavilions, two food service buildings and a band shell in a grove of trees, as well as an open field. The park is located between Mill Road, a dead end road since the closing of the bridge over the Pine Creek located at its intersection with Long Lane, and Lobachsville Road. Township resident, Joseph Mitchell, has been working on a comprehensive history of Pike Township. He has published an Abridged History of Pike Township which was available at the 200th Anniversary Celebration in 2013 and it can be downloaded here. Joe is seeking feedback from township residents. He is interested in corrections, additional information, and Pike Township stories. His contact information can be found in the township history booklet using the link above.